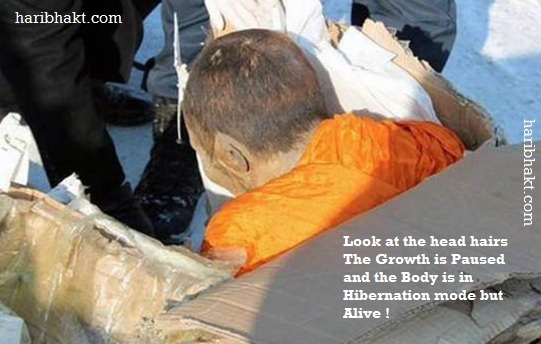 Home /Hare Krishna, History/A Hindu King who Slept for Almost 4 Million Years ! The period and time calculated in Purans matches with the experiments and observations carried by modern scientists. Infact, the knowledge of age on earth and Universe is super lift off from Shrimad Bhagwad Geeta. History of King Muchukunda and Sri Krishna is found in the Srimad Bhagavad Purana. 1 day of heaven is equivalent to 1 earth year, so the duration of Satyayuga is 4,800 x 360, or 1,728,000 years. The duration of the Tretayuga is 3,600 x 360, or 1,296,000 years. The duration of the Dwaparyuga is 2,400 x 360, or 864,000 years. 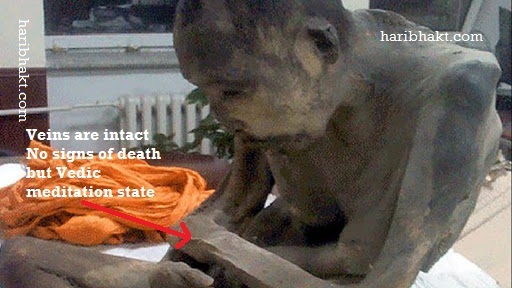 We have found several incidents of several Yogis (or monks) who followed Vedic principles left their bodies to roam through space during Samadhi not to return for hundreds of years. It might be surprising for materialistic beings like us, but it is definitely possible that such people existed who could stay alive forever if they are in deep meditation or divine sleep. 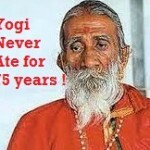 And no Kumbhkaran is not the one who slept longest when he was alive in earth. He is Muchukunda, a Hindu King who slept for almost 4 million years. Even today, if you are suffering from insomnia (sleeping disorder) and find it hard to sleep, recite Muchukunda (मुचुकुन्द) several times and you will fall asleep easily. Subtle body connects to subtle plane and the connection help in reaching the source, Bhagwan. In their expedition to break the dimension and meet divine beings, yogis travel using subtle bodies, faster than speed of light for several hundreds of years, they return to their bodies, to take breaks and re-meditate to find new routes of finding supreme soul and source. Recent news of Mongolian yogi who is found to be meditating for 200 years had his body preserved naturally without using any refrigeration and modern techniques. When a yogi or monk meditates heavily, conserving the energy, concentrating and opening his crown chakra, there is no need to preserve his body, the eternal power protects the body. The body is in hibernation mode and alive. 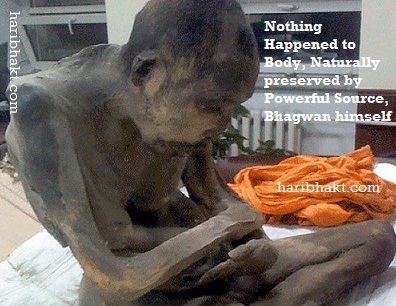 The images of 200 years old Mongolian yogi in meditation state given below itself proves the strength and power of Vedic meditation. 1 What Made Muchukunda Sleep for 40 Lakh Years ! What Made Muchukunda Sleep for 40 Lakh Years ! In an aggressively fought battle, the deities were defeated by the demons. They missed an able commander and battle skills that could have made battle in their favor. 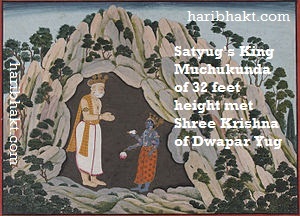 King Muchukunda ruled the earth during the Satyug (Krita Yuga). Muchkunda asks Indra for a boon to sleep. While fighting on the side of the deities, king Muchukunda did not get an opportunity to sleep even for a moment. Now, since his responsibilities were over, overcome by tiredness, he was feeling very sleepy. So, he said, “O King of the deities, I want to sleep. Anyone who dares to disturb my sleep should get burnt to ashes immediately”. Indra said, “So be it, go to the earth and enjoy your sleep, one who awakens you would be reduced to ashes”. After this, king Muchukunda descended to earth and selected a cave, where he could sleep without being disturbed. 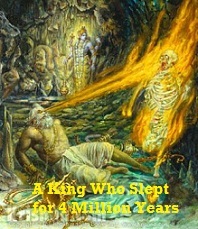 The king slept in a cave on earth through Satya Yuga, Treta Yuga and Dwapara Yuga. Muchukunda was blessed with divine body when he met with deities to help them in battle with demons. The ability to fight was practiced by Muchukunda in the earth itself but to prolong it for years and sleep for longer duration was garnered by him from the deities. In Dwapar Yuga, Mathura, even today the city of Sri Krishna, was constantly attacked by Jarasandha. Each time, Mathura was successfully defended by Sri Krishna and Balarama. Finally, Jarasandha sought the help of Kalayavana. Kalayavana was undefeated and unmatched in battle due to a boon, but he was also merciless and cruel. He learns that Krishna is the only person who can defeat him in battle and accepting this challenge sets out to invade Krishna’s kingdom, Mathura. Jarasandha was aware that Kalayavana had got the boon that the Yadavas will be afraid of him. Sri Krishna and Balarama knew that they will not be able to kill Kalayavana as they had to respect the boon given by Bhagwan Shiv. So to kill Kalayavana, Sri Krishna acts as if he is running away from Kalayavana. The ignorant king chases Sri Krishna who enters the cave in which King Muchukunda was sleeping. 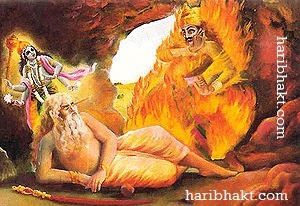 In the dark cave, Kalayavana mistakes King Muchukunda for Sri Krishna and forcibly wakes him up by kicking him. The person on whom Muchkunda’s gaze falls is doomed to instantaneous death. Kalayavan in a fit of anger and unable to see in the dark attacks Muchukunda mistaking him to be Krishna. When Muchukunda opens his eyes, his gaze falls on Kalayavan. 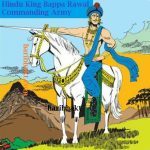 An angry King Muchukunda looked at Kalayavana. Suddenly fire sprang out from the eyes of the king and Kalayavana was converted into a heap of ashes. Muchukunda was now fully awake and blessed with the rare sighting of Shree Krishna. Sri Krishna appeared before the king in the form of Vishnu. Eventually, the longest sleep ever was broken. The king was granted moksha for his devotion. 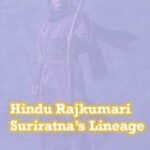 According to Hinduism, Muchukunda was an ancestor of Sri Ram, who belonged to Treta Yuga. Sri Krishna appears towards the end of Dwapara Yuga. So, Muchukunda is asleep for a very long time. After he woke up, he saw Sri Krishna and was delighted. Sri Krishna advised him to perform Tapasya to cleanse the accumulated sins of the hard fought battle. Sri Krishna told him that his next life would be his last life. After that, he would get Moksha (liberation). Then, Muchukunda came out of the cave. He was astonished to see the size of various beings. The size of all the creatures and humans had shrunken due to effect of Dwapar Yuga, he saw major changes, lakhs of earth years have passed, since he was alseep. Then Muchukunda went to north to Gandamadana Mountain and from there to Badrika Ashrama to perform meditation to attain moksha. Only Vishnu Bhagwan is the PRIMEVAL GOD . This is the only truth . Muslim and christian filthy fellows. 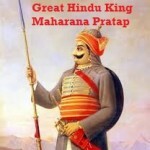 I m very happy to say that yr Hari bhakt post giving stories which many people don’t know. 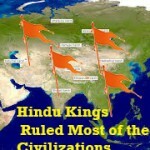 Instead of reading books any one can have knowledge of Hindoo culture. Keep providing d same in future. Good luck. Thanks for your encouraging feedback. We are working to spread the knowledge of our Vedic past and legacy of our Hinduism which got slightly diminished due to 900 years of colonial rule. Now globally people are more forthcoming in acknowledging our past. It is us who has to respect our culture first before expecting others to do the same. Please read other posts and provide your valuable feedbacks. Itresting. I am not here to criticized anything. But at the time of end of yuga there is PRALAY. Everthing getting melted or demolish by the water or fire. then how the king Muchukunda been survived at the time of chenging yuga. There is never pralay at the end of a yug. Your posts are very informative. Thank you. I have a few questions, though they may not be directly related to this post and I am not sure if they were answered in other posts. 1. 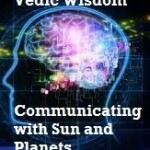 When were the 4 vedas created? If they were created at the time of human origin, how did they survive for millions and millions of years and yugas and successfully available for us to read even today? Did any pralaya not happen in between? 2. On a similar context to previous question, if Ramayana happened in the 24th cycle of maha yuga and we are now in 28th cycle, how did rishi valmiki’s text pass successfully through millions of years through 3 yugas? 3. How does Darwin’s theory of human evolution fit into the yuga cycles? Ved was telepathically (we can only use this english word for maansik transfer of knowledge) transferred to Brahma ji when he was doing tap for creation. It was never written until last 10,000 years ago when we humans became weak in transferring knowledge (telepathically) to our fellow humans. 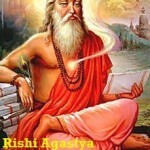 All ancient Rishis used to transfer knowledge through maansik medium. Only skills like archery, mace battle were taught in practice as it required development of skills at physical level and mere transfer of knowledge would not have helped. Knowledge transferred using psychic powers to hundreds of deserving disciples created a chain and that was how it was known to revered Rishis. 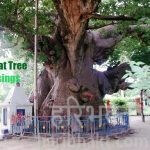 Pralaya happens only after 155 trillion years when the Universe ends for recreation. The earthquakes, floods that happen on earth is not Paralya as deemed by other non-Vedic cults (religions). 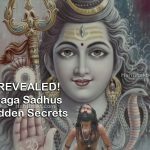 The sequence of Yugas are: Satyug, Tretayug, Dwaparyug and Kalyug. Ramayan happened at the end of Tretayug so there is only Dwaparyug and then Kalyug (no 3 Yugas), we are still at the initial stages of Kalyug. 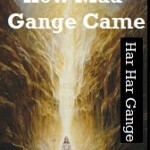 Ramayan happened several times in different Yugas with some changes. Everytime Bhagwan Ram won over the evil Rakshas. Ramayan was written by Valmiki even before it happened. It is not surprising that knowledge is passed through several Yugas in fact even through several Kalps. Kaakbhusundi being alive for several Yugas shared his knowledge about Ramayan and Mahabharat with several demigods. Darwin theory is fake. A theory further propagated by scientists as a veil to hide their failure while they fail to understand the beginning, growth of universe, nature and human. wow looks this is interesting reading post.. plz tell where is Muchukunda?? actually ?? ?